With autumn fast approaching, fragrance houses are looking toward the new season with deeper, darker scents which are perfect for when the evenings draw in. Dior Miss Dior Le Parfum overdoses the original fragrance for sensual take on femininity, Givenchy Dahlia Noir tells the tale of a bloom swathed in darkness, and Hugo Boss Nuit Pour Femme unfolds in waves of voluptuous flora inspired by the night. 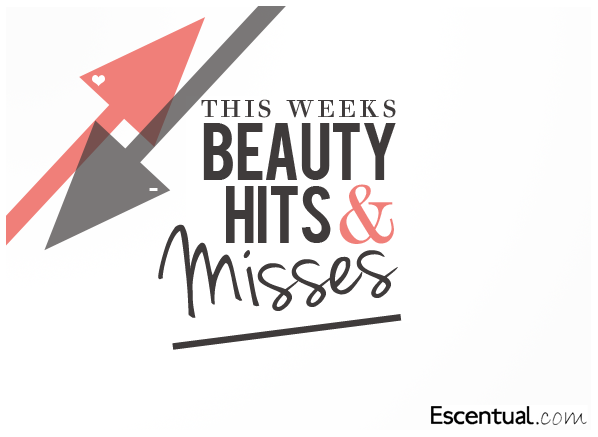 Beauty gadgets are big news, and this little wonder is the most talked about of the bunch. We’ve lowered the price of the bestselling Clarisonic Mia Sonic Skincare System so that everyone can reap the benefits of skin that is five times more clean, refined, smoothed and evened out. It’s also available in an array of candy colours – they’re impossible to resist. It’s an absolute nightmare trying to squeeze four days’ worth of clothes, toiletries and other essentials into one tiny backpack (yet strangely self-affirming when you manage it). Make the job easier by downsizing your toiletries – this weekend a mini Klorane Oatmilk Gently Dry Shampoo and my L’Occitane Mini Pure Shea Butter 8ml tin are accompanying me to Reading. I have tried this and other perfumes over the last month or so. I was looking for one that lasted most of the day and finally found it in Miss Dior Le Parfum. It is excellent for a special occasion but also for every day. The price at Escentual was amazing and delivery was super fast. I would definitely use the again. This entry was posted on Thursday, August 23rd, 2012 at 9:00 am and is filed under Fragrance, Haircare, Hints & Tips, Skincare. You can follow any responses to this entry through the RSS 2.0 feed. You can skip to the end and leave a response. Pinging is currently not allowed.